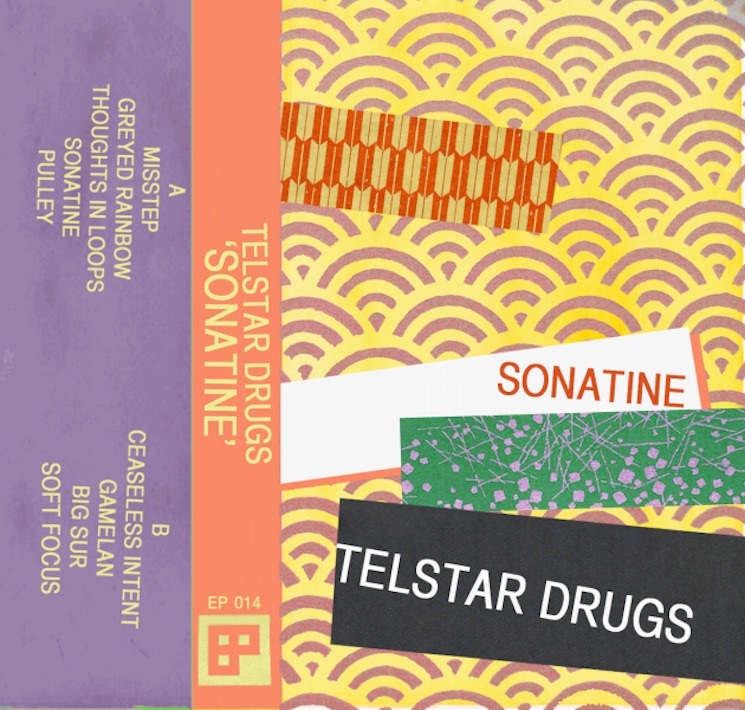 Telstar Drugs Return with 'Sonatine,' Premiere "Thoughts in Loops"
Montreal-based, Calgary-born pop weirdos Telstar Drugs simply never stop cranking out material. After their three new releases in 2014, they shared "Cutout" earlier this year. Now, they're ready to keep things going with the arrival of Sonatine. The album's nine tracks were recorded by the band in their own Egg Paper Factory studio. As a press release explains, this meant they could "spend countless hours tinkering with sound, resulting in their most diverse and fully developed release yet. Songs change pace and feeling throughout, jumping between separate recording sessions and techniques to create a dynamic and cohesive blend of dissimilar points." Further, the new album stands apart from previous Telstar Drugs releases as the band have laced the songs with acoustic instruments, synths, tape experiments and other elements of noise with the idea of adding a collage quality to the release. In addition to a studio, Egg Paper Factory is also a label and will release Sonatine as a limited cassette and digital download on September 15. The album will also be ushered into existence with a release show at Montreal's Brasserie Beaubien on September 19 (as part of Pop Montreal). Telstar Drugs will perform alongside The Painters, Whitney K, Old & Weird, Family Band and Each Other. Before the album arrives in full, Exclaim! is happy to premiere the new single "Thoughts in Loops." Stream it in full below.